By Kira McFadden/ For years I’ve seen masses of articles, blogs, and quips about the publishing process. 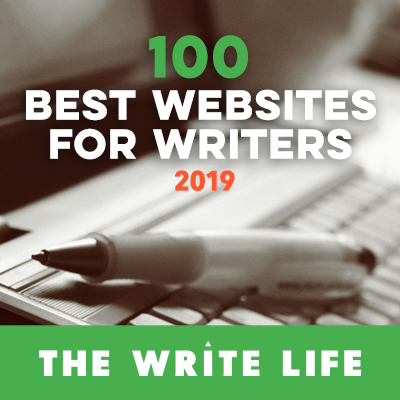 Many of these articles are about querying, editing your own work, what agents want, how to build a platform, and numerous other topics helpful to authors. One thing I have not seen, however, is a quick breakdown of the publishing process from a business angle. Most authors have a general idea of what to do—write, rewrite, rewrite, query, and then go back to the drawing board if there are no bites. But what does an author do beyond the querying process? Furthermore, with all of the blogs, articles, and other media smattering the Internet, where can an author find a quick breakdown of the publishing process from a business point-of-view? Look no further, because you’ve found it. This may seem like the easiest part of the process, but for some it can be very difficult to draft an entire novel in one go. Any number of blogs and other media can help you with the finer points of outlining and drafting a novel, but one of the most important things to keep in mind is whether or not the novel will sell. Many authors have great ideas—whether in fantasy, science fiction, art history, horror, or what have you—but few focus on the main question an agent or publisher is going to ask. That question is: Will this sell? More importantly, how well will it sell? Aspiring authors like to be creative—it’s what we’re best at. So why not create a way to sell the novel from the very beginning? While drafting your next work, take a step back and ask yourself if it would sell. Don’t get bogged down or overwhelmed with trying to make it sell. Just keep in mind that writing is a business. If you recognize and plan for the business side of writing from the very beginning, you’ll gain a leg up on the competition. When drafting your novel, keep these questions in mind. Either answer them in writing, or just keep them in mind for later refining. Women in their mid-50s, tweens, young adults, or even hotrod driving men are all examples of audiences. Defining your target audience early on can help stabilize your work for the future. It can even give you direction when you want to develop a solid plot or if you get lost in the overwhelming ideas you may have. Pulling a few of those ideas and refining them for a target audience is a great way to start cutting fat right off the bat. Defining an audience also helps you keep sales in mind. Questions such as genre, who will buy the book, and what agents to look at will already be answered. This makes your job easier and streamlines the process further. Why would someone want this instead of the competing book? All genres have competition. For example, Trylle is competing with Twilight right now. Both are young adult paranormal romances. Both are high sellers, and both have the same effect on their audience. They emit the romantic aura that captures the hearts of their readers while keeping the plot interesting with battles, twisting plots, and suspense. But why did an agent pick up Twilight? The answer may be in the business of the book, not the structure or the content. Twilight stuck to the right agent at the right time. There’s no saying why an agent will pick up a book one moment and reject a similar one the next. Simply keep in mind that the why is what will help you determine whether or not your work is sellable. Why someone may want to read your novel instead of someone else’s could define when an agent picks your work out of hundreds. This goes back to defining your target audience. You know who will buy your book. Now figure out why. Does your book have amazing action that no one else’s has? What about gorgeous romance scenes that make your reader’s hearts tremble? When you try to research the why, talk with people in your target audience. Whether they’re friends or strangers, asking a few, brief questions to narrow down what your potential readers like could help define why your book would sell compared to the competition. What makes your book successful? Similar to the why is the what. What makes your book sellable is different from why people might buy it over the competition. In any given genre, an author should research books of similar plot, character, and with a similar target audience. Do you read a lot of adult fantasy? Then perhaps writing young adult is not your genre. What makes your book successful is contingent on what you know about the genre you choose to write in. You are the expert when it comes to your genre, but even an expert only knows so much in the beginning. Learn about what sells in your genre. Then break down those masterpieces and find out what makes them sell. For example, if you write epic/high fantasy, who do you look to? Right now, there are many successful high fantasy authors. To name a few: Robert Jordan, George R. R. Martin, Brandon Sanderson, and Anne McCaffrey. Read a few of their books. If you detest the work of one, ask yourself why. When you find yourself unable to put down the series of another author, again, ask yourself why. Always ask why, because it will tell you what will help you to write and define your own work from the beginning. Once you have these questions answered, you’ll have a better idea of what you want to write and how you can sell it to potential agents, publishers, and eventually, readers. This section will be a little quicker, because you can find a plethora of information about how to draft, write, and submit query letters all over the Internet. Any agent’s blog or Website will show you what agents want in detail. One thing agents tend to agree on is that you must sell your book through your query. Only a handful of agents and publishers will request the first few pages of a novel with the query. More want a synopsis. Again, there are thousands of sources on the Internet that can help you with how to write any of these and tailor them to potential agents. Tailoring a letter to an agent is one thing; drafting your query letter to sell your work is something else entirely. Like everything else about your novel, the query should sell your book one-hundred percent. If you can’t sell your book in three paragraphs (sometimes less), an agent is more likely to believe you can’t sell the book at all. When you go to write your query, consider the questions you asked yourself when drafting the novel. Ask who will buy your work, why, and what makes it different. Implement the answers to these questions in your query. At the same time, try to avoid just answering the questions without telling your story. The art of an author is our ability to manipulate words to our will. As an author, you have the power to both answer those questions while keeping the query enticing. Sell your work by telling the story quickly, and keep little tidbits out of it. The rule of thumb for selling your work in your query is to be concise. For example, try pitching your book to yourself verbally. How would you sell your book in two sentences when you meet a potential reader? Find something that works and write it down. Try it out at a few local bookstores. If it doesn’t work, tweak it, and try again. Remember, it’s the author’s job to write something that sells. By now you’ve refined your book and edited it down to something amazing. Let people know how great it is—just be careful not to say too much. A good book is like a good friend. The book has to introduce itself before it can get to know the reader better. By this point, you’re a master salesman. Your novel is so sellable you could smack a price tag on it and make thousands. You’re just missing a few things, like a publisher. Oh, and an editor who can help you trim off the fat and make your book ready to run the race of its life. You may have an agent by this point that is helping you shop around for a publisher. Maybe all you hear back from editors are rejections. Some offer advice, but it all feels very broad, as if they’re just trying to be nice. What you want is some real advice. Something personal and solid, a definite answer that will get you published. Sadly, that most likely won’t happen. Editors deal with hundreds of books every week, sometimes every day, and they can’t afford to give personal answers to everyone. At this point, it’s not best to give up. Let me say that again. Do not give up. You’ve written something to sell, done trial sales to strangers at bookstores, and have written a smashing query. Publishing is like trying to fit Cinderella’s glass slipper to a million different feet. It’s not going to fit everyone. So why did you work so hard if everything’s just going to fall apart? Because you learned along the way. Next time, you can make it even farther by implementing what you’ve learned. If you happened to get a deal with a publisher, this is where the real work begins. Yes, you’ve been trying to tailor your book for everyone from agents to readers while keeping it true to what you want. But now comes the hard part. Now the editor wants you to change the main character’s sidekick to a female when it was written to be a male. So what do you do? Many young or inexperienced authors will say they’d fight to keep the character male, because that’s just how it is. Instead, listen to the editor. There’s almost always going to be a valid reason, a marketable reason, why the editor wants to change something. In the case of changing genders, it could be to build sexual tension between characters. Building tension of any sort is a good thing. Tension and suspense are what keep readers interested in a book. For your first novel, it might not be a bad idea to make the changes an editor suggests. Not to say every change suggested should be made—if you feel very strongly about something, then talk it out with the editor. He or she may disagree, but they’re people too. Publishing is a partnership between multiple parties. The agent, publisher, editor, and even the people you pitched your book to outside of Barnes & Noble are all just as important to the success of your book as you. Working together to formulate a strong first, second, third, or fiftieth novel is very important. Building a novel that agents, publishers, and readers will enjoy takes time. It also takes a certain willingness to learn a little bit about business and make the effort to create something profitable. If you have a good idea, be curious. Find out why you think it’s so good, who would buy it, and what makes it different from the rest of the market. When you get ready to query an agent, utilize what you’ve learned to create a quick, catching query. Sell your work. You put the months—even years—into creating something wonderful. Take the time to find out what your target audience is looking for. Talking with them could tell you more than trends would. Maybe 8 out of 10 teenagers are sick of Twilight-esque books and want something fresh that isn’t paranormal romance. An agent may not agree with you, but it’s your job to explain to the agent why you think your work would sell. Publishing is a partnership. Listen to what others have to say, especially editors. They’ve been working in the field for a very long time, and there’s a reason they are where they are. Editors and publishers have the ability to change novels into profitable art. Not many people can do that. Learning is one of an artist’s most important jobs. And overall, don’t forget to have fun. Writing is your passion, otherwise you wouldn’t commit yourself to it so strongly. Create something fantastic and people will read it. Kira McFadden is an avid enthusiast for all things publishing and writing. She has worked for two publishing firms and has helped local authors compile information for their works. As of today, Ms. McFadden is working on her Adult High Fantasy series while offering what knowledge she can to other aspiring authors. You can visit her Webpage athttps://inrugia.zxq.net.